Hydroblast have recently completed a new project involving mine capping in Nottingham. Thoresby Coal Mine ceased production in July 2015, however the mine dates all the way back to 1925 , where the Colliery operated two mine shafts nearly 700m deep. Leaving the mine with an open uncovered shaft would be HIGH RISK , and potentially dangerous to people passing by. Covering over the open shaft with steel plates could also be problematic, meaning that there were two options available to close the mine. Hydroblast could either fill the shaft with rubble, or cap the mine shaft with a large concrete plug. Clearly, there were detailed calculations and specifications to meet, but in short the collar of the shaft needed to be cut in several areas. This would allow the reinforced concrete pad ( the cap) to be poured to a depth that would seal off the mine. Although this meant losing access to the coal, there is often Methane which can be found within coal deposits. Capping the mine shaft allows a pipe to be installed, meaning that COAL MINE METHANE could be harvested. The gas could then be used to produce electrical energy, and by trapping and harvesting the gas, Hydroblast have also helped to reduce greenhouse emissions. 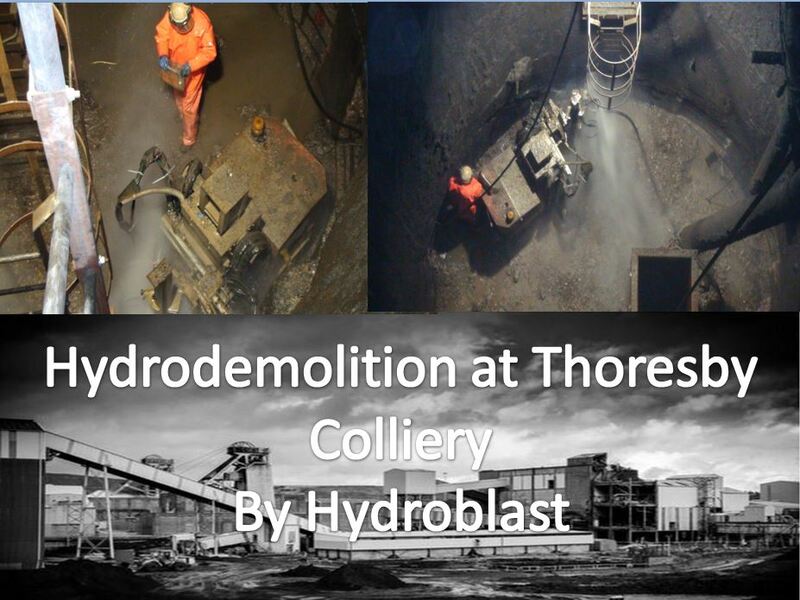 Hydroblast had to cut 10 pockets into the walls for each mine shaft , with only 10 days to do this work. We tried one day to hand lance these pockets – however this was slow and dangerous work. 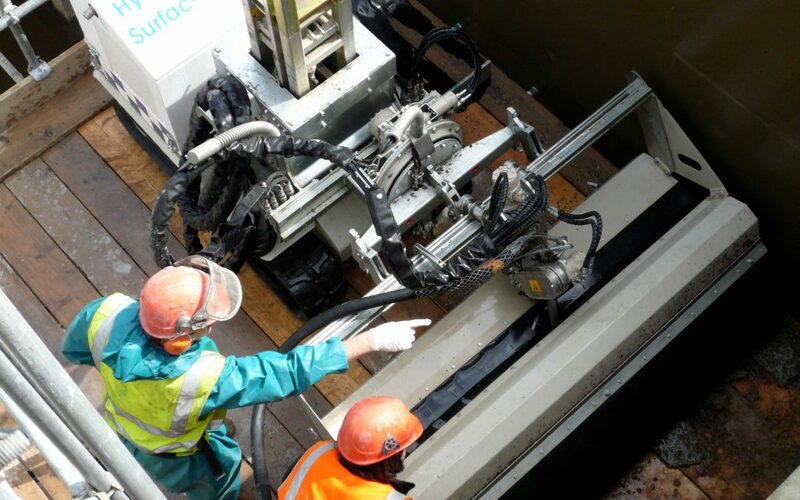 For more information about how we use Robotic Hydrodemolition for mine capping or for other difficult jobs, please contact Hydroblast today.